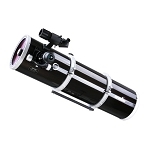 Built with a large aperture and short focal length, the Explore Scientific FirstLight 114mm f/4.3 Reflector Telescope has a fast focal ratio that makes this scope ideal for lower magnification wide-field observation or deep-sky astrophotography. 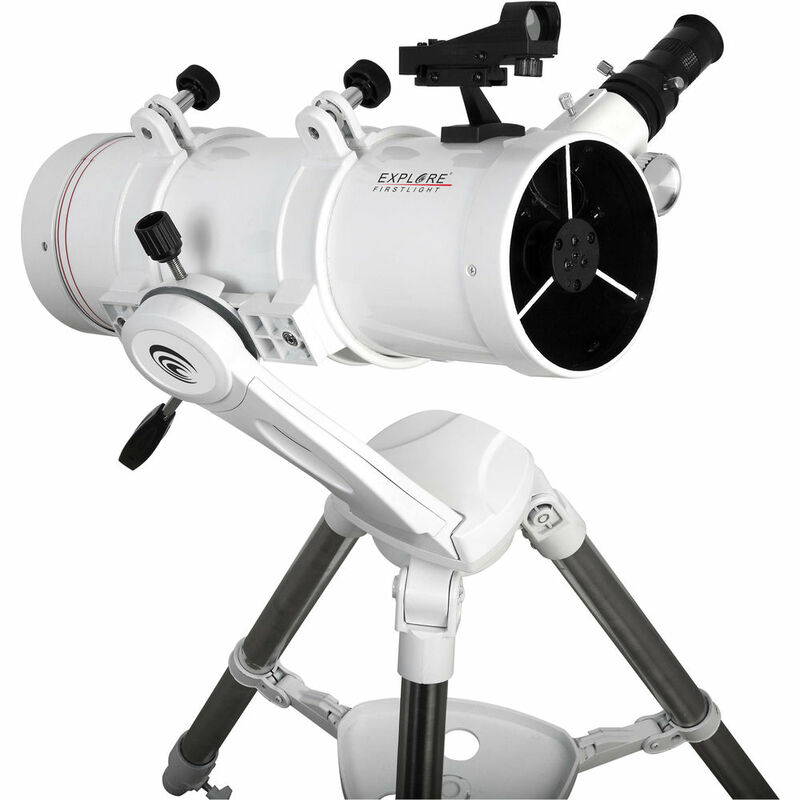 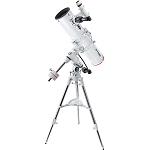 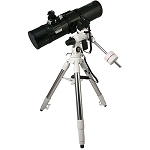 Ideal as a simple grab-and-go option for intermediate amateurs or as a competent entry-level telescope, the combination of aperture, focal length, and focal ratio produce bright images with a wide field of view. 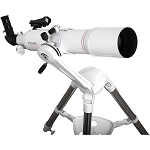 The OTA is supported by the manual Twilight Nano alt-azimuth mount with a single control handle that allows users to track objects as they move across the night sky while also limiting vibration. 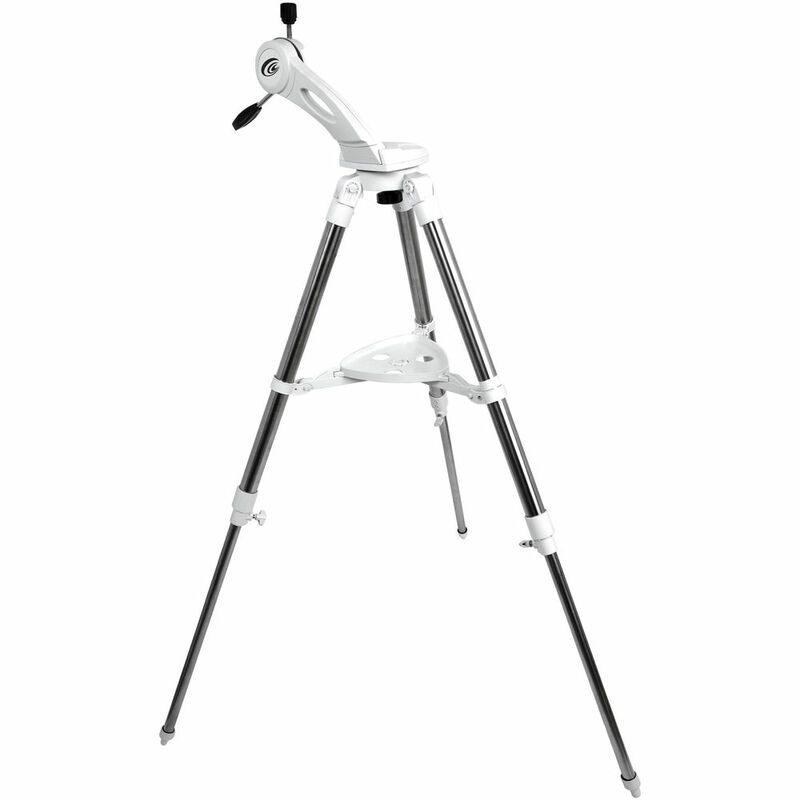 Its stainless steel tripod provides a stable observation platform, while several observational accessories such as: a 25mm eyepiece, a universal smartphone eyepiece adapter, and an unmagnified red-dot finder are provided to enrich user-experience. 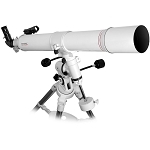 Box Dimensions (LxWxH) 35.0 x 15.0 x 9.0"